Come on. Admit it. It’s not just about the fabric. Or the thread. 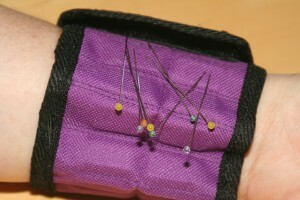 Sometimes it’s about the product designed to make our sewing lives just a wee bit easier. 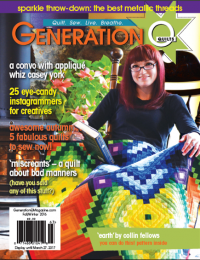 So while scouring the aisles at International Quilt Festival in Long Beach we came across a couple of products we haven’t seen before and we’re sharing them here with you. We love Lanette’s products. 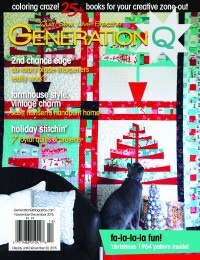 She’s a longtime quilter who constantly sees a needs and finds the best way to fill that need. 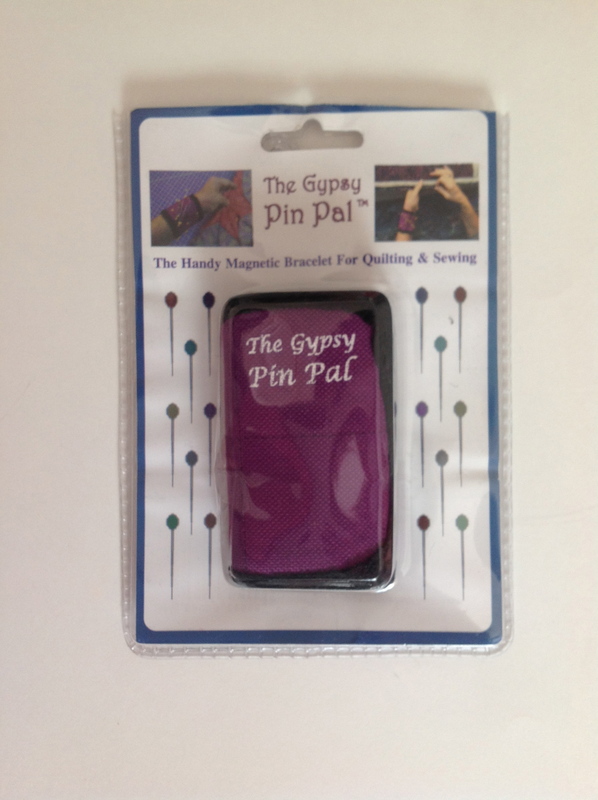 You might be familiar with her purple pop up snips catcher, the Bitty Buddy (which lives in one of our sewing machine bags for classes). 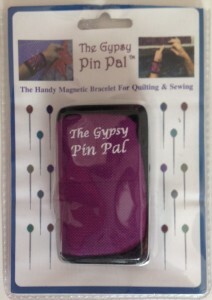 This product, The Gypsy Pin Pal, is a magnetic wrist band that captures and holds your pins and needles near the most convenient spot, your hand. Because of hook-and-loop tape, it’s adjustable. There are 16 strong magnets sewn into the band that will hold onto your sharp things perfectly. But don’t leave it near magnet-sensitive items, like credit cards, phone or computers. 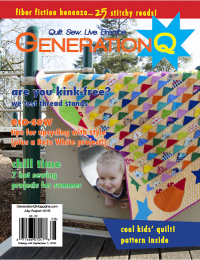 Even your computerized sewing machine should be guarded. We all need a little help at times seeing things clearly. And, as we, ahem, mature, we seem to need that help even more. In walks the Beam N Read light. We have to admit that for 30 big ones we thought this little wonder light was a little on the high side. And then we opened the package and played with it a bit. Let’s just say, you’re getting your money’s worth, we think. Here’s why: Besides the light itself, which is powered on 4 AA batteries and has six LED lights to show you the way, you have the option of using either three or six lights. The neck cord is adjustable, very comfy and truly leaves your hands free for playing. The light can be moved to adjust to your preferences. 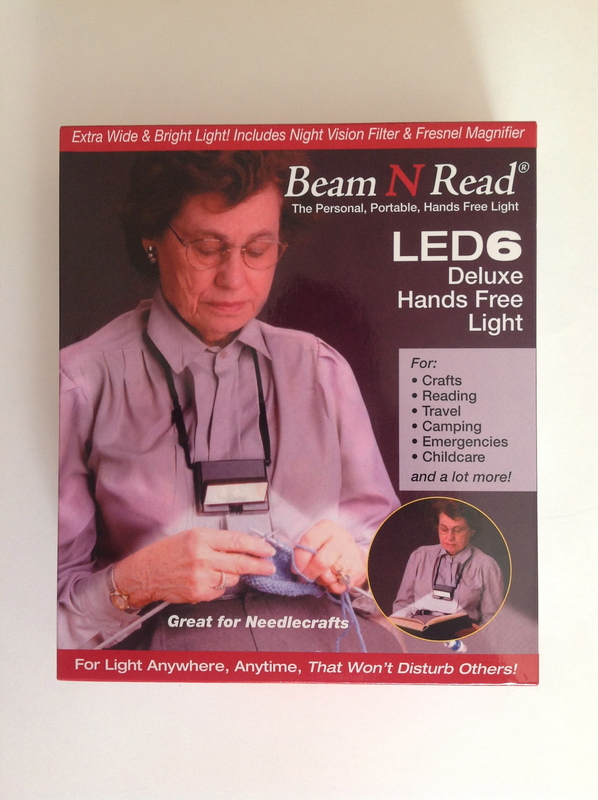 The Beam N Read comes with a special magnifying panel that can mount onto the light as it hangs around your neck. (We found this very handy when we worked with tiny seed beads on some embellishing work.) Last, it also comes with a couple colored filters that change the way the light will look. The orange filter softens light and reduces blue tones. The red filter will reduce night blindness when using the light in the dark. 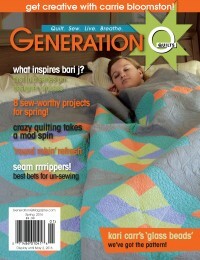 Both also will help to not wake your bed buddy while you stitch into the night. 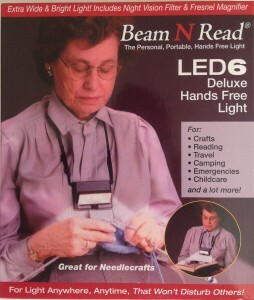 But don’t leave this light just for your sewing projects. 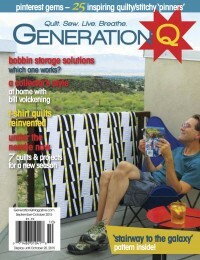 It’s also great for those true-page read eReaders at night, or those old-fashioned versions–books. Instead of the beam and read, I would go to the WalMart camping section and get a headlight flashlight. I bet they got the idea from that! I got mine camping with my scout. 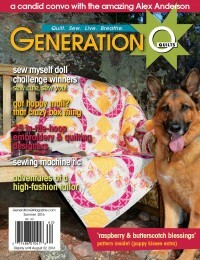 More fun stuff to check out! Thanks Jake – hope you had lots of fun at Long Beach! !